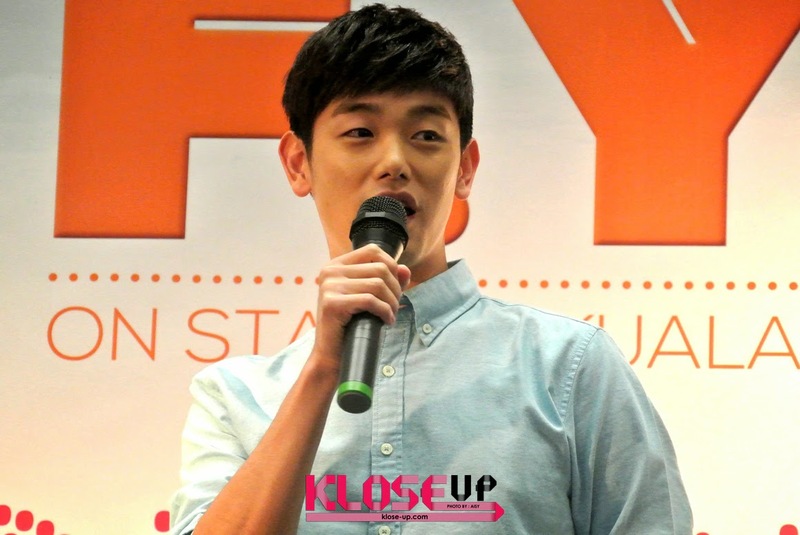 Eric Nam's Delighting First Visit to Malaysia! 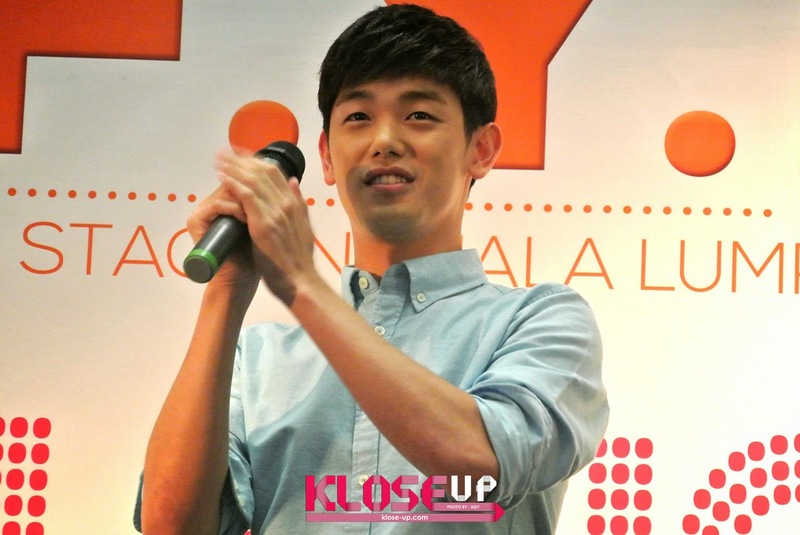 Born in Atlanta, Georgia and charming people with his melodious voice, Korean-American singer, Eric Nam has recently visited Malaysia for a public fan meeting, ‘Hello! 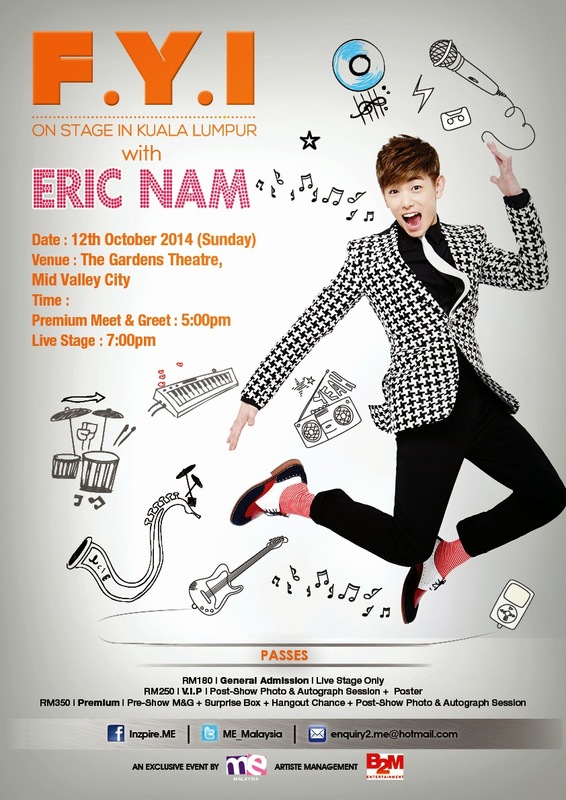 Eric Nam’ and a showcase, ‘F.Y.I On Stage with Eric Nam’ under M.E Malaysia. The public fan meeting ‘Hello! 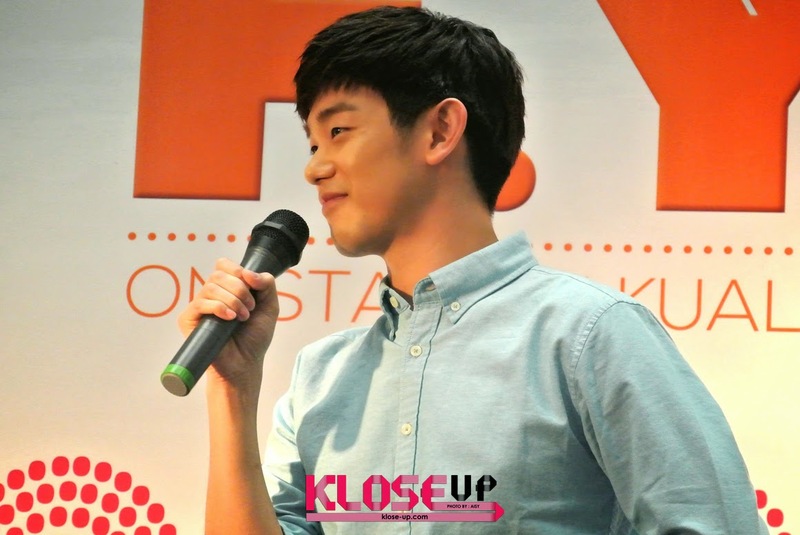 Eric Nam’ was held on Saturday, 11th October 2014 at Klang Parade, in partnership with KakaoTalk Malaysia, Klik!, K-Popped & MyKpopHuntress. Before the public fan meeting took place, ‘Hunt Eric Nam’ event went on whereby fans would receive updates from social accounts; KakaoTalk, K-Popped & MyKpopHuntress, on his whereabout to ‘hunt’ him down! Fans who managed to catch Eric Nam at the spot would receive special gift as well as interactions with the man himself and could even get a ‘selca’ (selfie) with him! ‘Hello! 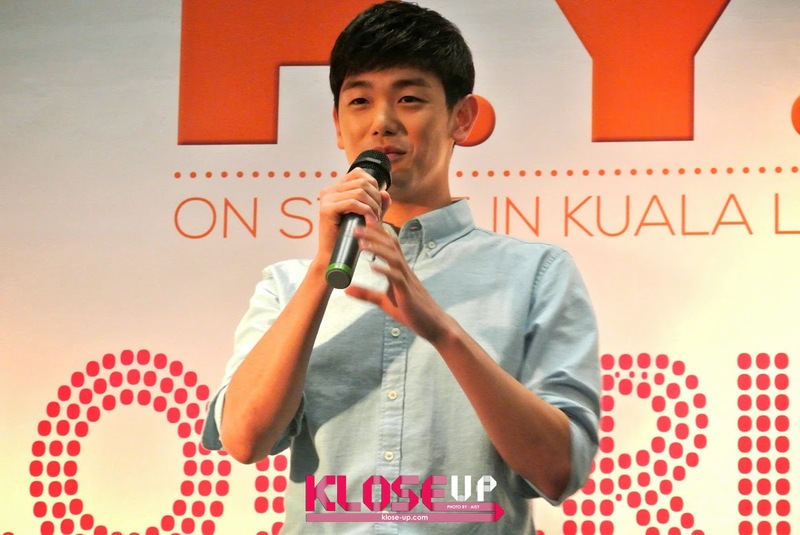 Eric Nam’ kicked off at 7.30PM where he finally appeared and greeted his Malaysian fans! He said that Malaysians are welcoming and even mentioned that he had some Malaysian delicacies such as Nasi Lemak & curry puffs. 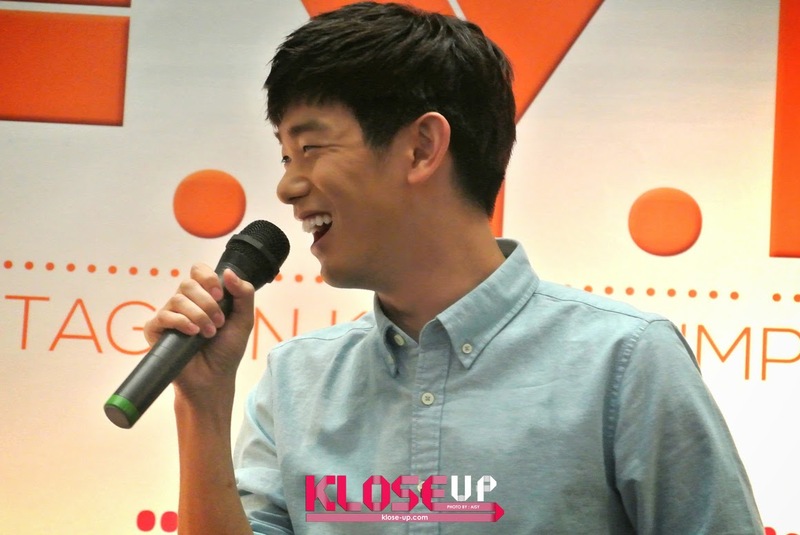 Eric Nam said he enjoyed having fans 'hunting' him down earlier during ‘Hunt Eric Nam’. Eric even awed us by showing a temporary tattoo he put on his arm beforehand, given by a fan! It was another side of Eric Nam that we were surprised to see as the man himself delighted us with some quirky moves and a little booty shaking! We were even lucky to hear a sneak peak of Eric Nam’s upcoming release where Eric hints up that it would be ‘ballad-ish’ *winks* Next up, the cute lad sang his debut single, ‘천국 (Heaven)’ as a little preview to his showcase on the next day. Hold on, there’s more! It would not be completed without the singer showing his Malay language skill as he mentioned "Saya Cinta Padamu" which means “I love you” to his beloved fans. Eric continued to surprise us by showing a conversational Mandarin language skill! It was time for picking up some questions written by fans on a board. Answering fans’ request, Eric sang one of popular K-Pop tracks of the year, Taeyang's '눈.코.입. (Eyes. Nose. Lips)' and even hugged a lucky fan! Furthermore, Eric said that he loves coffee that he could have intakes up to 4 cups of it! When was asked about which idols he are closed to, his fans mentioned a whole bunch of names! He caught a few such as LUNAFLY’s Sam & LEDAPPLE’s Hanbyul (whom he hosted Arirang’s After School Club with, previously) where Sam is a pervert and for the latter, he doesn't know where is his whereabout and would like to catch up with him soon. 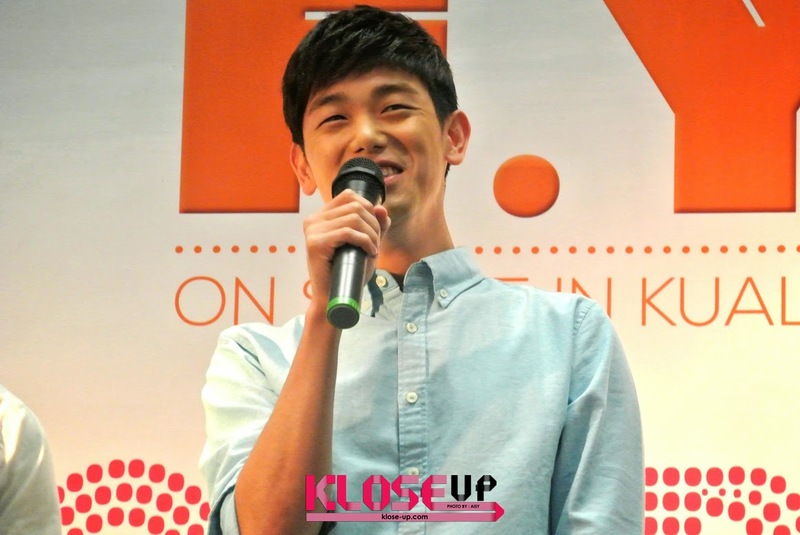 The public fan meeting then ended with an autograph session for fans who bought Eric Nam’s limited edition merchandise and album. KloseUP would like to special thank M.E Malaysia for inviting us to this event.